The following is a brief from the Institute of the Motor Industry. Making the most of electric vehicles – Infrastructure, skills, and safety. The Society of Motor Manufactures and Traders (SMMT) and KPMG have forecast that the overall economic and social benefit of electric, connected and autonomous vehicles could be in the region of £51billion per year. The estimates indicate 320,000 additional jobs, and the potential to reduce serious roadside accidents by 25,000 casualties per year, which would save the NHS £24m by 2030. The elimination of 40,000 deaths and 100,000s of respiratory illnesses caused by air pollution from diesel and petrol motor engines will increase this saving significantly. The IMI believes that to achieve the Governments aims and reap the predicted economic and environmental benefits there is a need for a holistic approach. Government must address all the infrastructure issues. The IMI agrees that UK needs to have consistent and sustainable EV charging facilities across the country. There are currently 11,840 charge points across the UK. These are segmented into three categories slow charge (6 to 8 hours), fast charge (3 to 4 hours), and rapid charge (30 to 60 minutes). In addition, Professor Jim Saker of the University of Loughborough points out that the New Automotive Industry Growth Team project have indicated there are only two ways forward as regards to the future power train of vehicles; and that is Electric Vehicles and (Hydrogen) Fuel Cell Electric Vehicles (FCEV). Currently however there are only 7 hydrogen filling stations in the UK. Professor Saker suggests that thousands more are needed to entice the public to make the switch to FCEVs en masse. A problem will come from the skills gap facing the industry. A recent study conducted on behalf of the IMI showed that 81% of independent garages found it difficult to recruit technicians with the skills and competences to undertake work on technologically advanced vehicles, such as hybrid and electric cars. Out of 183,869 vehicle technicians in the UK only 2,000 are qualified on EVs and these are all employed in manufactures dealerships. The lack of competition will exasperate the issue of the skills gap that would be taking place in the market. Manufacturers will train technicians and provide them with the equipment to repair EV and FCEV; this will lead to a group of skilled technicians who can repair the modern vehicles and a large percentage of technicians who have only been trained on the old technology. This will mean that the market will fail to open up because of high repair and insurance costs. ULEV insurance costs are up 50% more expensive than petrol and diesel because of the skills shortage. With major problems over recruitment and large skills shortages within the sector it is clear that unless a proactive strategy is undertaken the UK will not be able to support the growth of low carbon emission vehicles. The IMI has called for a modest investment of £30 million to assist the independent sector to train the required number of people. 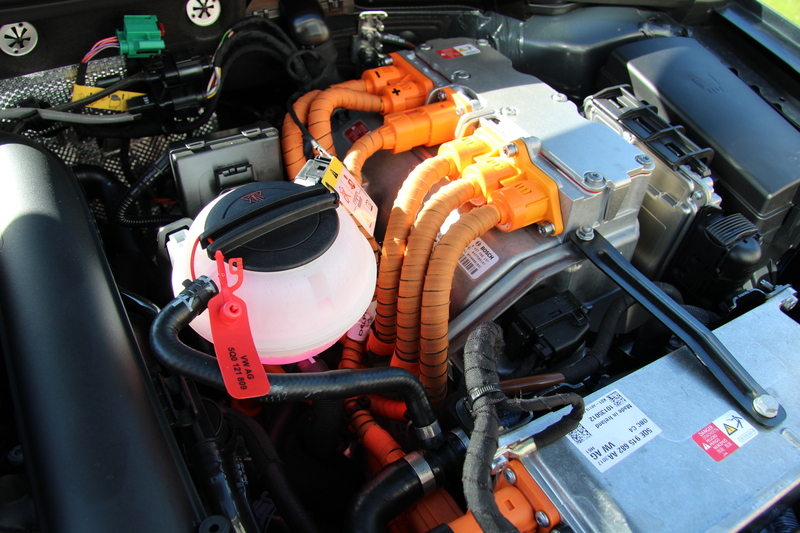 The battery pack on a plug-in hybrid/electric vehicle carries up to 600v direct current. Manufacturers have taken the necessary precautions to ensure that the vehicles are safe in their day-to-day use. However, the risk of untrained vehicle technicians attempting to repair hybrid vehicles in particular is high as many of the components (other than the electric motor) are similar to that of standard combustion engines. Any technician making these assumptions puts their lives and the lives of others at risk. To put this into perspective a UK household runs on 240v alternating current. In order legally conduct any electrical work on the premises the electrician has to be licenced under the NiCEIC BS 7671 scheme. Yet, no such licensing exists for electrically powered vehicles. Without an equivalent licence how could an automotive technician work on a faulty charging point or vehicle at the home of the vehicle owner? The Government should make it illegal for unqualified technicians to work on EV and FCEV cars from 2017. 1. It is clear that the introduction of alternative fuel cars has the potential to reduce emissions and save lives (9,500 deaths in London associated with pollution, Kings College London study , 2015), as will the introduction of autonomous vehicles (25,000 according to KPMG). However, does the minister agree that introducing these advanced technological systems without the necessary legislation or licensing in place to ensure those that are working on these vehicles can repair the vehicles safely could cause avoidable injuries and fatalities? 2. Is the Minister aware that sales of electric vehicles have risen by 31% in the last year, but out of 183,869 technicians working on cars in the UK only 2,000 are currently qualified to work on the high voltage systems of electric vehicles, all of whom work solely in manufacturers’ dealerships? 3. If he does know can he say what plans the government has got to ensure the necessary skills are developed in the wider service & repair sector to maintain Electric and Hybrid vehicles safely and at a reasonable cost for consumers in the future? 4. Is the minister aware that insurance premiums for electric vehicles are up to 30% higher than for equivalent petrol or diesel models, and that Thatcham Research Ltd says this is due to the cost of repairs, the complexity of the cars, and there being fewer appropriate repairers driving competition? 5. Is the Minister aware of the very stark difference in the technology in electric vehicles compared to petrol powered cars, effectively the dawn of a second era in automotive technology, and the potential danger to an unqualified individual attempting to repair a machine that contains up to 600DC volts, which is potentially lethal? 6. Will the Minister meet with representatives from the Institute of the Motor Industry, the industry’s Professional Body, who are working closely with manufactures like BMW and Mitsubishi, to hear their case for a licence for professional technicians working on EVs, to protect the workers and to encourage businesses to invest in building the skills base required to support the exponential growth of electric and hybrid vehicles expected in the coming years? 7. Has the Minister calculated the potential savings for the NHS from the switch by drivers to ULEVs from diesel and petrol cars, and have these been factored into the investment decisions outlined in the VTAB?